Surrounded on three sides by lagoon, bay and sea, Cancun offers a variety of vacation experiences. You’ll find some of the world’s best beaches with wide expanses of silky white sand as far as the eye can see. 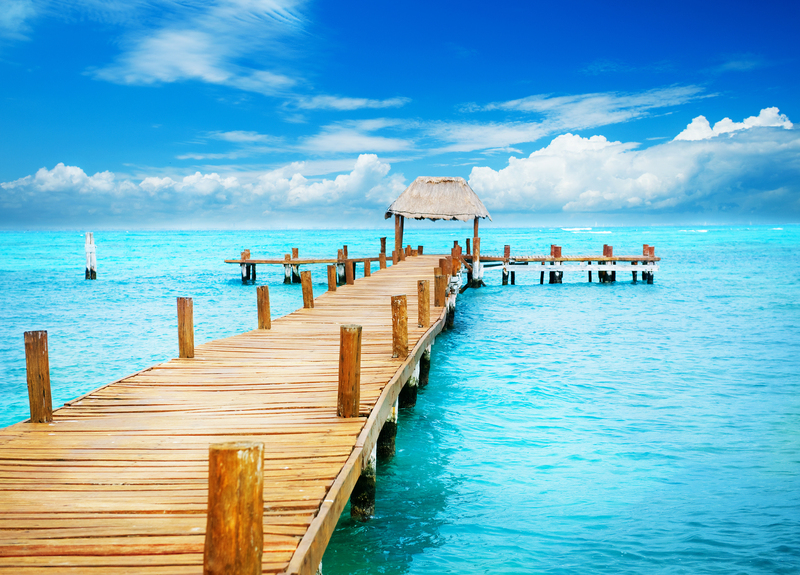 Cancun is naturally situated in subtropical jungle perfect for exploration and adventure. Hop on a jet ski or charter a boat for some deep sea fishingand spend a leisurely day at sea. Pristine reefs exist for snorkeling and diving. Relax overlooking the crystalline waters of the Caribbean Sea in a hammock, or pamper yourself at a world-class spa. The Hotel Zone of Cancun, located along the world-famous “seven” shaped peninsula at the eastern tip of Mexico, is truly a shoppers’ paradise, with everything from lively street markets to the world’s most exclusive boutiques within walking distance of fantastic resorts. Cancun’s array of dining choices will entice every palate, ranging from local specialties to five star restaurants. The glittering nightlife still reigns in Cancun, with all-night discos, live music, piano bars and even jazz clubs open year round.